When browsing for the Commercial Kitchen Appliances, some caterers may also get tempted by the reduced prices by the smaller or the domestic equipments. Some of the most significant differences that the professional Commercial Kitchen Appliances provide over the standard domestic ones are outlined below. Size Does Matter:- The first and the most important difference that can be noticed between the domestic and the commercial kitchen appliances is the size. The commercial equipments like microwaves dwarf the domestic equivalents of them. The professional kitchen in the hotels and restaurants are expected to leverage service for a bigger and a continuous stream of orders from the visitors or the customers. 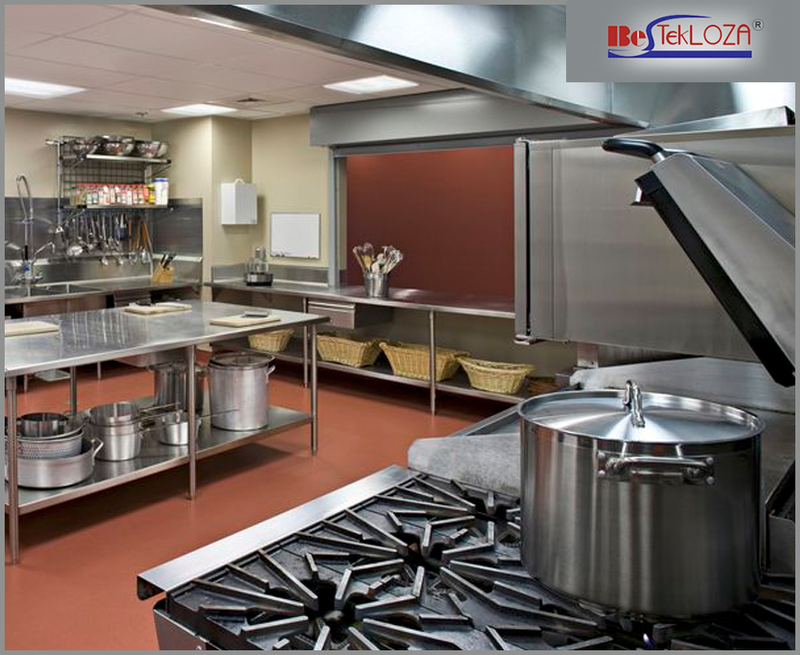 If the industrial kitchen does not have the desired sized equipments for handling the workload then it can negatively impact the food serving business as well as the overall efficiency of that commercial kitchen. Quantity As Well As Quality:- Any time in the industrial kitchen, be it the fridge, knives, or the oven, needs to be replaced eventually. While any of these residential weapons can be kept without replacing for years. The industrial appliances are manufactured to the best quality standard often using the materials like stainless steel, or iron to keep these in the right condition for longer time. Looking after the equipments and handling these with care is equally important in a commercial kitchen. For example, the cast iron pans and pots are required to be seasoned for protecting them from getting rusted. In a commercial kitchen, since many chefs use the same equipment and handle them differently, so maintaining them becomes a bit crucial. But, maintenance of the domestic ones are easier as only one or two persons use them for food preparation. Keeping Up the Right Pace:- Besides the top-notch components and materials, the commercial supplies are made available with an array of built-in traits for maintaining the overall efficiency as well as the preservation of the ingredients. The compressor of a domestic refrigerator is designed for handling even when it is opened several times in a day. The commercial refrigerator, comparatively, traits a more powerful and efficient compressor for handling the regular opening and closing and the extreme temperatures of the busy food preparation zone. These big refrigerators incorporate fans for evenly distributing the cool air all over the fridge, thus, keeping the foodstuffs much fresher for longer time span. Precision is the Key:- While preparing food in your own kitchen comfortably, any appliance can be used in any way. Whereas, in the commercial kitchen’s appliances should not be used casually. There is a proper way and technique to use each and every equipment. This calls for the dishes to be prepared at the accurate temperatures for definite time periods. The Industrial Cooking Appliances, with their top-notch quality, are capable to achieve the specific requirements speedily and without even jeopardizing the quality of these big-sized efficient equipments. Few Things To Know About An Efficient Ice Cube Machine How to Create A More Efficient and Productive Kitchen?